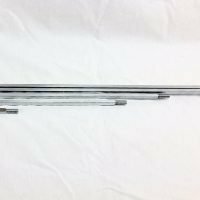 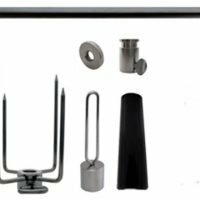 The rotisserie spit rod kit is a 5/16 square spit rod with the complete hardware package, all you need to supply is a motor and mounting bracket. 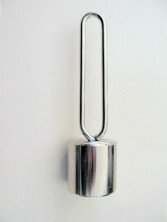 This is the most common size and shape spit rod found in grill rotisserie kits. 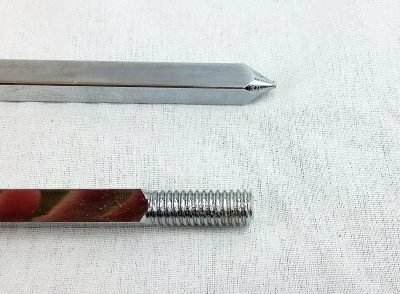 These rods are pointed on one end and have 9mm threading (also the most common) for a handle on the other. 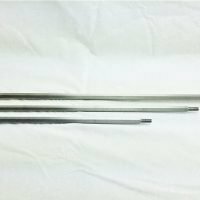 The rotisserie spit rod kit is available in 5 different lengths for grills of all sizes, and we have a size chart below to ensure a proper fit. The length listed in the descriptions is the length of the rod itself. 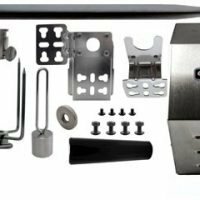 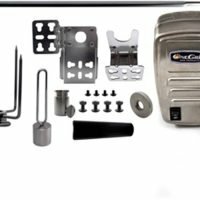 This is perfect if you just purchased a new larger or smaller grill and still have the mounting bracket and a motor. 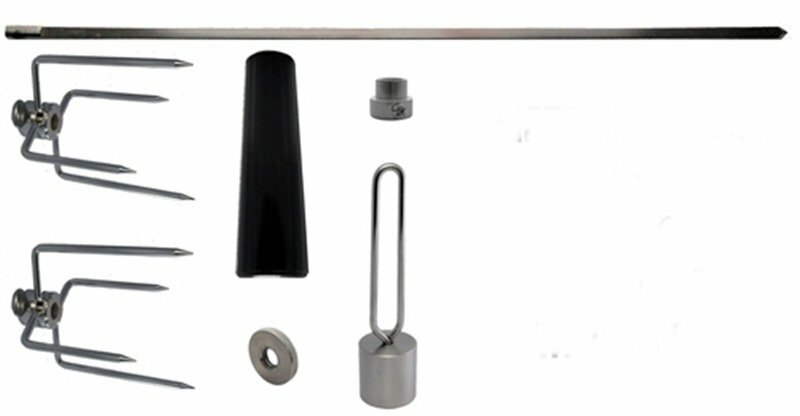 The rotisserie spit rod kit parts are made of steel with a high quality chrome plated finish. 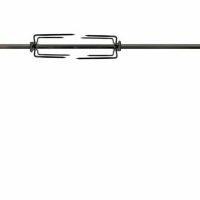 These rods have a suggested weight capacity of under 15 pounds. 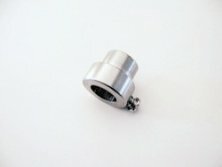 To measure for the proper fit of the rotisserie spit rod kit replacement. Take a tape measure and measure the width of your grill where the rotisserie is mounted, across the notches for the rotisserie is ideal. 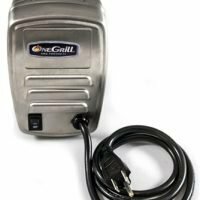 Most grill bodies get narrower at the bottom and top so measuring in the proper spot is important. 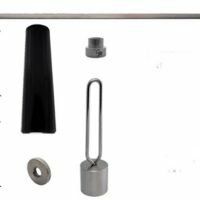 Warnings for the rotisserie spit rod kit.